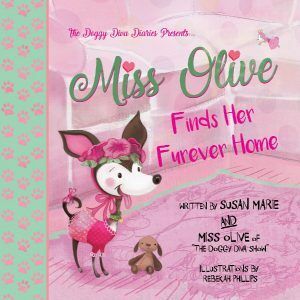 Miss Olive Finds Her “Furever” Home is the award-winning first book in the heartwarming and inspirational series The Doggy Diva Diaries. When we first meet Miss Olive, she is a sad and lonely little pup hoping to find a loving family and her “furever” home. 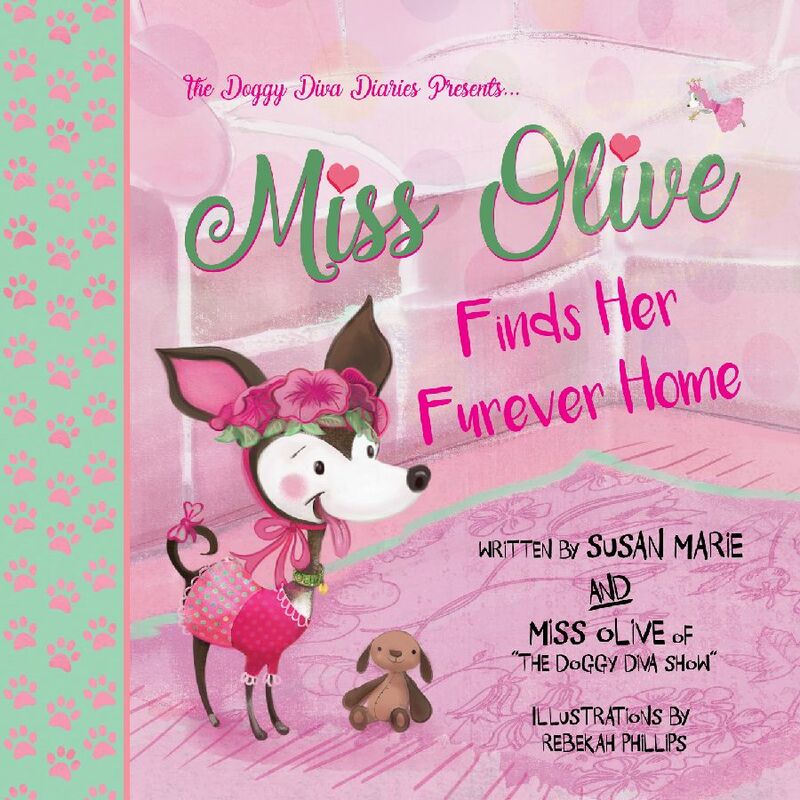 With the help of her magical fairy dog-mother, “Sophia the Doggy Diva,” Miss Olive learns a valuable life lesson: It doesn’t matter what you look like on the outside. It’s the kindness and love you have on the inside that counts. Your dreams really can come true! 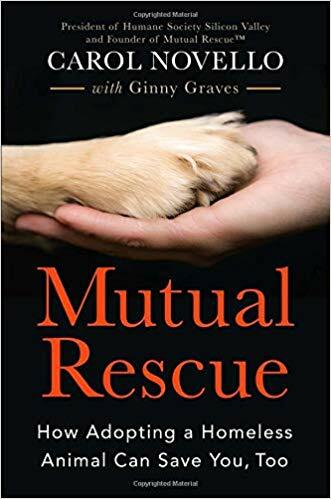 “Mutual Rescue: How Adopting A Homeless Animal Can Save You Too” is the first book to profile the transformational impact that shelter pets have on humans, exploring the emotional, physical, and spiritual gifts that rescued animals provide. It explores through anecdote, observation, and scientific research, the complexity and depth of the role that pets play in our lives. 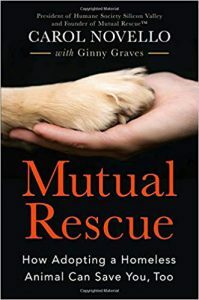 Every story in the book brings an unrecognized benefit of adopting homeless animals to the forefront of the rescue conversation. “MY OLD DOG: Rescued Pets with Remarkable Second Acts” just might be the happiest book you’ll ever read. It shares success stories that show how blissful retirement can be for older dogs who get rescued, and how life-changing senior dog adoption can be for the humans who do the rescuing. “No Dog Should Die Alone” was the attention-grabbing — and heart-stirring — headline of journalist Laura T. Coffey’s TODAY show story about photographer Lori Fusaro’s work with senior shelter pets. While generally calm, easy, and already house-trained, these animals often represent the highest-risk population at shelters. 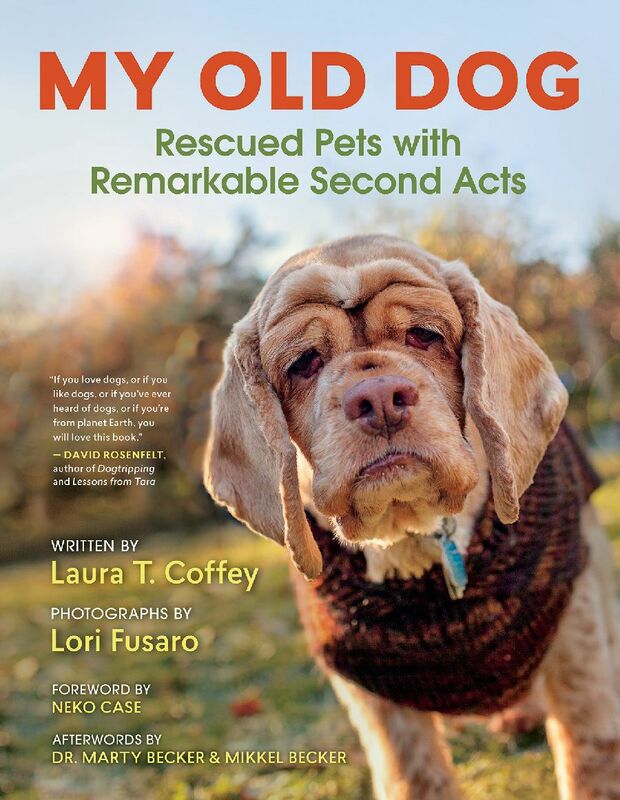 With gorgeous, joyful photographs and sweet, funny, true tales of “old dogs learning new tricks,” Coffey and Fusaro show that adopting a senior can be even more rewarding than choosing a younger dog. 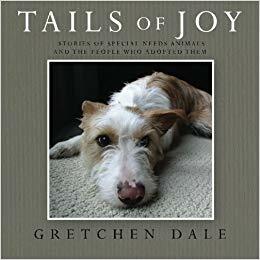 This heartwarming book from author Gretchen Dale is a celebration of special-needs pets and their relationships with the humans who foster them and/or adopt them into their furever homes. The dogs and cats spotlighted in the book may come from different circumstances, but the recurring theme throughout “Tails of Joy” is the love, joy and happiness their pet parents experience after they adopt these extraordinary animals. Miss Olive loved reading about the bond that develops between pets and pet parents—just like she experienced with her own “furever” family. Find this must-read book at local and online book retailers, including www.amazon.com. Countless times throughout our lives, we’re presented with a choice to help another soul. 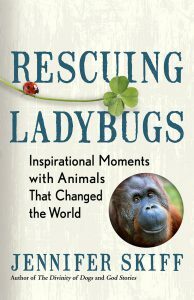 Rescuing Ladybugs highlights the true stories of remarkable people who didn’t look away from seemingly impossible-to-change situations and instead worked to save animals. Prepare to be transported to Borneo to release orangutans, Brazil to protect jaguars, Africa to connect with chimpanzees and elephants, the Maldives to free mantas, and Indonesia, the only place where dragons still exist in the wild. In this heartwarming collection of stories, readers meet 38 incredible dogs who have gone above and beyond the job description of best friend. 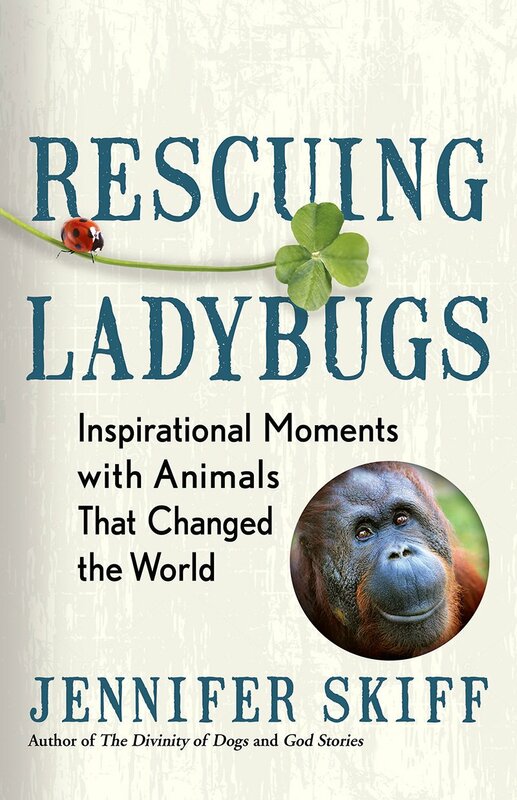 Each uplifting story provides an inspiring look at the animals who change our lives. Meet rescue dogs who learn to serve others, working dogs who go beyond the call of duty, and underdogs who surmount extraordinary challenges on the road to finding their forever home. 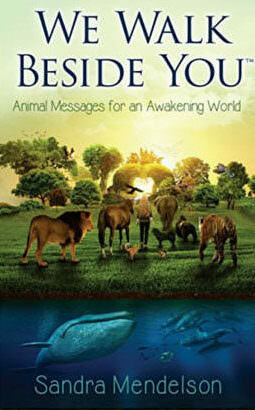 Have you ever wondered what the animals really ‎know about us? Is there maybe a way we can communicate and connect with them? 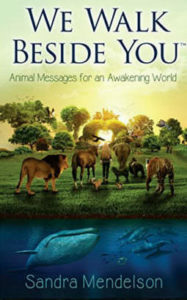 In her inspiring book “We Walk Beside You,” Sandra Mendelson brings us many truly enlightening and heartwarming messages from the animals that are filled with hope and light – something that we need so much in our world. Book 1 of her new children’s book trilogy “The Secret of the Animals: Inside Your Amazing Neighborhood”‎ explores how every child possesses the innate ability to hear, see, feel or simply know what animals are communicating. 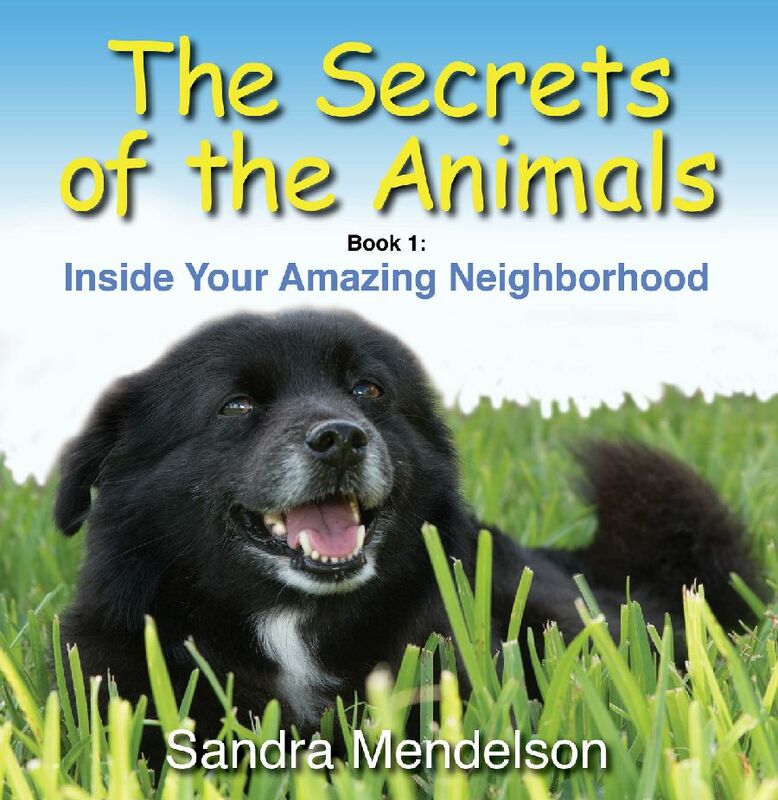 In this delightful trilogy by Amazon bestselling author Sandra Mendelson, children are taken on a journey to discover the “animal wisdom ways” that are the keys to communicating with all Life. Dr. Cathy Alinovi is known as “America’s favorite holistic vet” as she empowers pet parents worldwide to choose i‎deal nutrition and holistic options for optimal pet health. She shares great information in her books including the popular “Dinner Pawsible” co-authored with Susan Thixton. 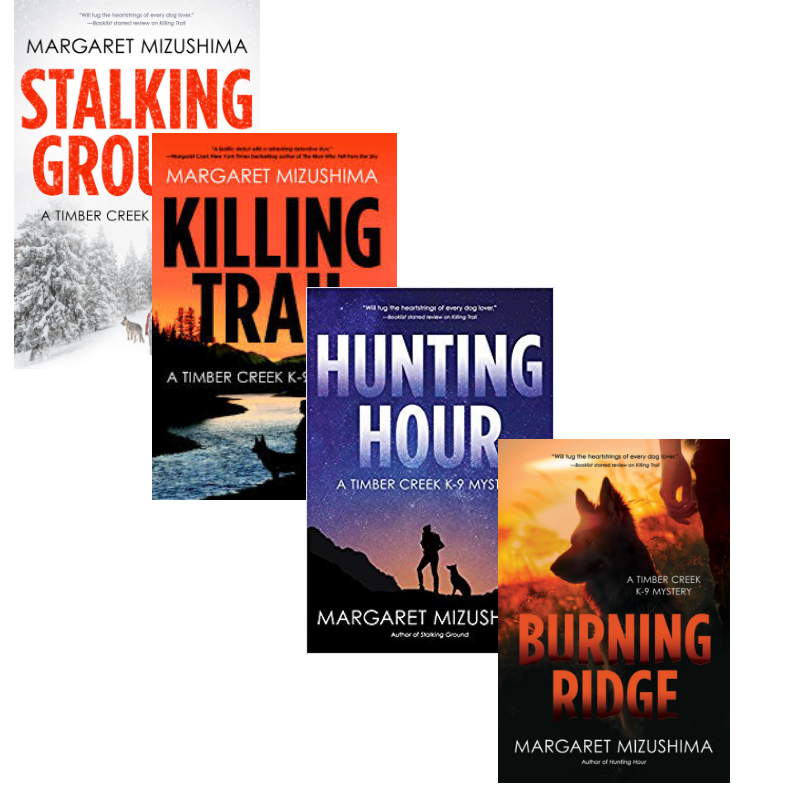 Margaret Mizushima is the author of the award winning and critically acclaimed Timber Creek K-9 Mystery Series – debut novel “Killing Trail“, “Stalking Ground“, “Hunting Hour” and recent release “Burning Ridge.” The series features K-9 Deputy Mattie Cobb, her dog Robo and Cole Walker, DVM – who solve crimes that place animals and their humans in jeopardy. This is a great series for dog lovers and anyone who loves a good mystery. Mel Miskimen is the author of “Sit, Stay, Heal” – a memoir about a daughter, a dad and the special dog “Seamus” who brought them together during a time of shared grief. 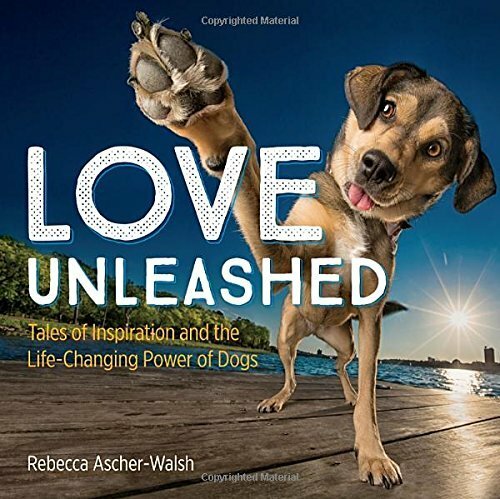 This is a book that touches the hearts of dog lovers and reaches into the souls of those seeking to connect with loved ones they may have lost or those who may be struggling dealing with good-byes. 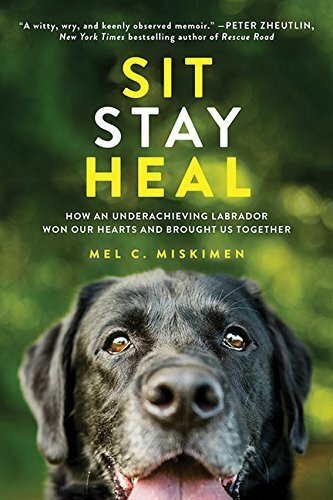 Sometimes heartbreaking and sometimes hilarious – Sit, Stay, Heal – is about how in facing ones biggest fears – a dog may just be the one to help heal them. 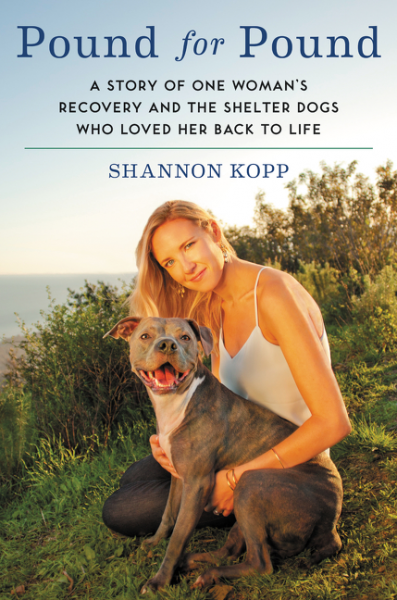 Miss Olive interviews Shannon Kopp a writer, animal advocate, eating disorder survivor and the author of the best selling memoir “Pound for Pound: A Story of One Woman’s Recovery and the Shelter Dogs Who Loved Her Back To Life.” Pound for Pound is essential reading for animal lovers and inspirational for those who have struggled to make change in their lives. 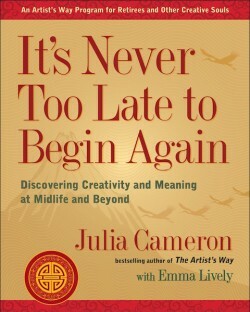 Bestselling author Julia Cameron has written over 40 books including the legendary best seller “The Artists Way” now brings us — “It’s Never Too Late to Begin Again: Discovering Creativity and Meaning at Midlife and Beyond” — an indispensable companion guide for the reader who may be journeying into retirement or could possibly just be taking their next big leap in life. One of the topics Julia discusses is how important pets are to us all and how they bring happiness and purpose to those retiring — benefiting from their bonds with their pets. Julia also shares her own personal story of her pets — with the loss of her beloved dog — “Tiger Lily” and how her current dog “Lily” brings her such immeasurable joy. “It’s Never Too Late to Begin Again” shows how retirement can be the most creative and gratifying stage of life yet. Author Lauren Darr. Is the Founder of: International Association of Pet Fashion Professionals. In Laurens book “Lipstick on a Pug” she shares her roots of being “plumb pug crazy” and of her fascination with pet fashion. This is a story about rescue, the love of a special dog and how pet fashion created an everlasting bond between Lauren and her first pug — Tuttie! Miss Olive looovves this book and Lauren!!! She gives “Lipstick on a Pug” — 4 paws up!!! “Pet Fashion Industry Trends” is based on many years of observations of the pet fashion industry. 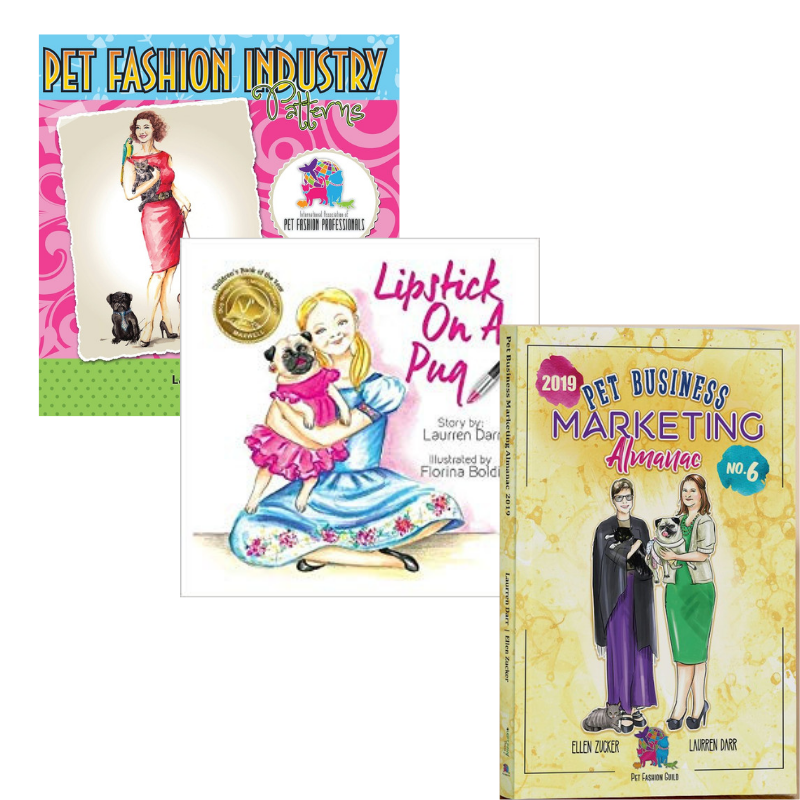 It’s broken into four enlightening sections that provide valuable insights to those seeking an understanding of pet fashion industry developments. 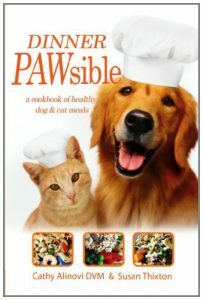 These sections include Pet Trends, Lifestyle Trends, Market Trends, and Micro Trends. 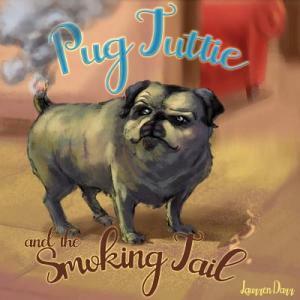 In her latest book, “Pug Tuttie and the Smoking Tail” Tuttie is a senior pug who spends her days lounging on the porch outside the house, sunning herself and moving to whatever spot the sun is casting its rays upon. In fact, Tuttie likes nothing better than finding a source of heat to relax next to, whether it’s the sun or a radiator or something that provides a real flame. Anything will do. But, her love of being next to any heat is about to turn her warm rear end into a smoldering danger as she gets too close to the fire one bitterly cold evening. Can the family catch her before her tail is burned to a cinder? And, will Tuttie ever want to be that close to a real fire again? This cute story of a pug who gets too close to the fire is based on a true story. It’s a fun and entertaining read for young children and adults alike. Miss Olive gives four paws up to this heartfelt and inspiring book selection for pet lovers. 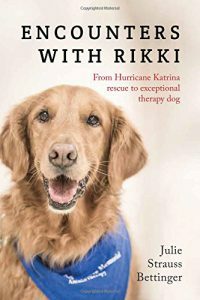 “‎Encounters With Rikki” is the story of a Hurricane Katrina Rescue dog as told by the books author Julie Strauss Bettinger (www.juliebettinger.com). 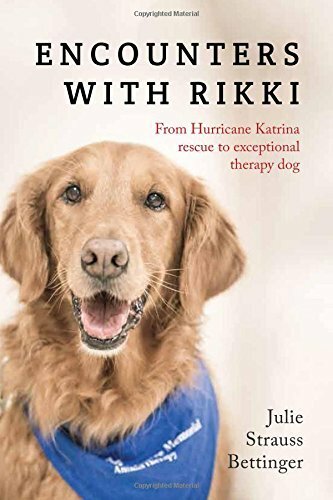 Rikki became an exceptional therapy dog with the amazing gift to heal trauma survivors. 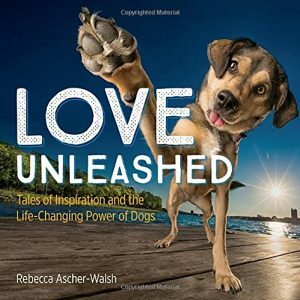 This enlightening, heartfelt book, which shows how the loving touch of a paw can be such a source of strength and healing, is available on Amazon.com and other online book stores. 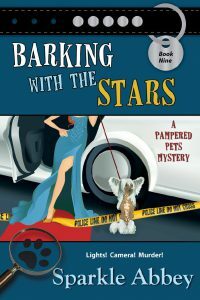 Miss Olive is all a glitter that she is chatting with award winning authors – Mary Lee Woods and Anita Carter ( also known as Sparkle Abbey) creators of one of Miss Olive’s Favorite Things – “The Pampered Pets Mystery Series”. 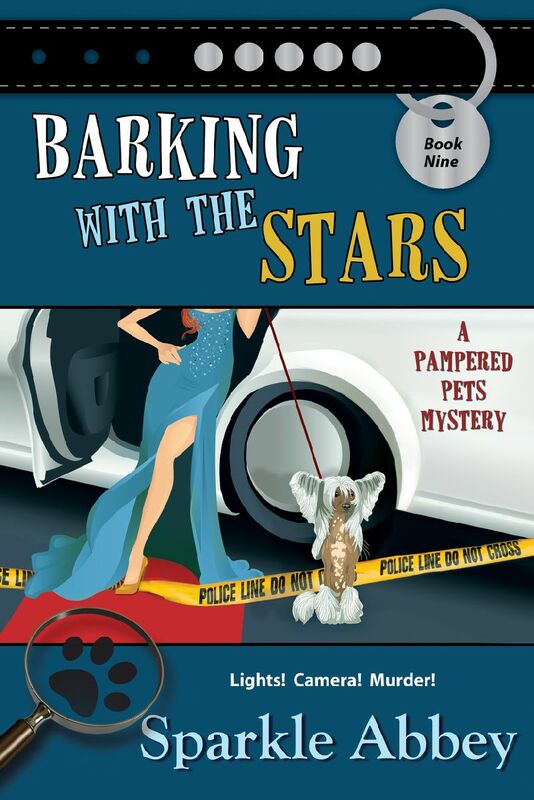 Since Miss Olive completed the very first book in the series “Desperate Housedogs” through to the eighth and most recent release “Raiders‎ of the Lost Bark” she is truly an “all paws in” follower of the series pet loving amateur sleuths, Mel and Caro, as they explore adventures to find out “whodunit”. 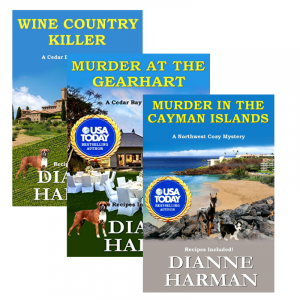 Find all these great reads online at www.sparkleabbey.com and Amazon.com. 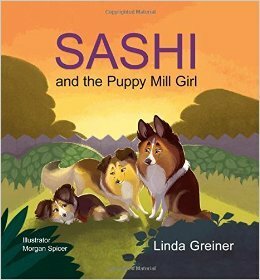 Award-winning author of “Sashi and The Puppy Mill Girl ” – Linda Griener — discusses the third book in her award winning educational and entertaining Sashi series that‎ teaches children how Shelties Rescue gives homeless Shelties a second chance at a happy life – and educates readers of all ages on puppy mills, rescue, and fostering. Linda is committed to helping other Shelties find their forever homes and donates a portion of the sales proceeds from the “Sashie ” series to SSPNJ. For music lovers, Lisa Spector, co-founder of “Through a Dogs Ear,” shares how music therapy is available for the prevention and treatment of canine and feline anxiety. This cutting-edge, therapeutic music surrounds your home with beautifully effective sound. It is truly magical — Miss Olive, Francesca and. Coco love this (yes … even CoCo!!) and we especially love how it calms us! To learn more, please visit www.throughadogsear.com, and listen to some “pawsome” samples of music. 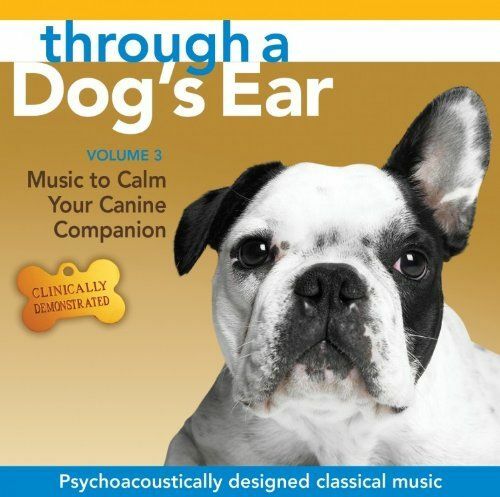 You may even want to include this music in your pets disaster kit … keep it calm please!! !